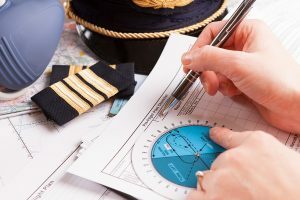 One way to gauge a pilot’s experience anywhere in the world is through his or her flying hours, or the number of hours each pilot has accumulated flying aircraft. Although valuable, flying time does not necessarily describe all your pilot’s qualifications: You’ll also want to consider “soft” skills in terms of how he or she communicates and interacts with you as a client. However, let’s look at flying and see what it takes from a “learning to drive” perspective. In the United States, there are several pilot license levels. The most basic is the private pilot license, which allows the holder to fly aircraft carrying passengers within U.S. airspace. According to the Federal Aviation Administration (FAA), private pilots must notch at least 40 hours of flight time, including 20 hours with an instructor and at least 10 flying solo. Although 40 hours is the minimum, private pilots almost always exceed this limit. The national average is 60 to 75 hours, according to the FAA Student Pilot Guide. 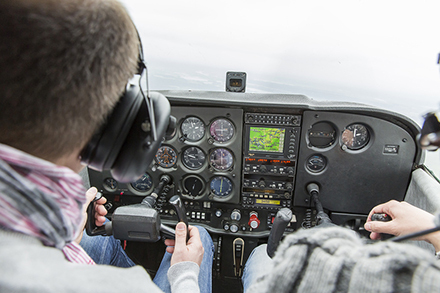 The next step for pilots is to qualify for their commercial pilot licenses (CPLs). At this stage, certified pilots must accumulate 250 flight hours with both single- and multi-engine aircraft to achieve those ratings. They must fly alone cross-country as pilot in command in both day and night conditions. Each CPL candidate must also complete a specific number of takeoffs and landings. In 2013, the FAA upgraded these rules to include additional ground and flight training to prevent and recover from aircraft stalls, enhance runway safety, as well as better prepare for crosswinds and wind gusts. With their CPLs, pilots may work for private jet companies. The biggest difference between most commercial airline and private jet pilots is the former will undergo further commercial airline training. In contrast, private jet pilots have a balance of valuable experience handling administrative issues and creating flight plans that commercial pilots may lack. The bottom line: Once pilots obtain their CPLs, they are well-qualified to fly private jets. Contact the experts at L & L International if you need assistance purchasing or selling a private jet. You can reach our sales specialists today at sales@L-Lint.com, call us anytime at +1 (305) 754-3313, or visit us online.